Thanks to student loans, many Americans can't afford homes or children: Nice work, Congress! Imagine if you will that you are sitting in the chambers of the U.S. House of Representatives in 1965 just before Congress adopts the Higher Education Act, which launched our nation's huge experiment with student loans. 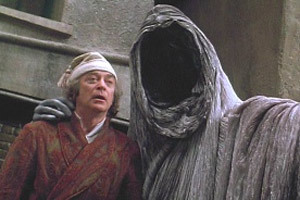 Now imagine that the Ghost of the Future appears before the lawmakers just the way the Ghost of Christmas Future appeared to Ebenezer Scrooge in Dickens' Christmas Carol. Before the vote, the Ghost issues this chilling warning: "Congress," the ghost whispers,"behold what will happen to this great nation if you launch a massive college loan program." First, within a half century, 45 million Americans will be burdened by student loans, which will amount to $1.5 trillion in outstanding indebtedness. Millions will be forced into 25-year repayment plans that are structured such that borrowers will never pay off their student loans--even if they make monthly payments for a quarter of a century. Others will simply default on their loans--ruining their credit. By 2016, borrowers will be defaulting at the rate of 3,000 a day. Student-loan default rates will be much higher than default rates on mortgages, credit cards, or car loans. Fueled by massive infusions of federal money, a corrupt and venal for-profit college industry will flourish, scamming millions of people--especially minorities, first-generation colleges students, and the poor. A higher-education "arms race" will emerge, with colleges raising tuition to build luxury student housing, food courts, and recreational amenities like LSU's "Lazy River" water feature. Small, liberal arts college will shut their doors, unable to lure enough students who are willing to borrow $40,000 a year to attend a college no one has heard of. Bad as these developments are, worse calamities will arise from an out-of-control student-loan program. As the Federal Reserve Bank of New York reported, home ownership will decline as young people are unable to save enough money to buy a house due to oppressive student-loan burdens. And finally, the nation's fertility rate will nosedive so that birthrates aren't high enough to sustain the nation's current population. Fewer children means fewer young adults in the labor force, which means fewer working people to support a growing population of the elderly. "Now," the Ghost from the Future asks Congress, "do you really want to pass the Higher Education Act of 1965?" Of course, the answer would be no. 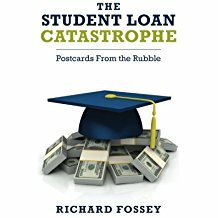 If you think my fictional Ghost from the Future is over-sensationalizing the student-loan crisis, then you should read Declining Fertility in America, written by Lyman Stone of the American Enterprise Institute. "Birth rates in America are declining," Stone writes, "leading to one of the lowest rates of population growth on record, soon to become the lowest ever" (p. 3). Increasing years spent actively enrolled in education institutions, which tends to reduce birth rates dramatically while enrolled [italics inserted by me]. As Stone documents in his report, Americans are not having enough children to maintain our population--a population that is rapidly aging. And much of this future suffering is due, as Stone asserts, to student loans. Stone optimistically observes, that some barriers to childbearing, like student loans and housing costs, "may be readily addressed through various policy changes" (p. 3); but I am not so sure. In spite of all the suffering and hardship that student loans have unleashed on America's young people, we're really not talking much about the crisis, much less proposing solutions. Rajashri Chakrabarti, Andrew Haughwout, Donghoon Lee, Joelle Scally, & Wilbert van der Klaauw. At the N.Y. Fed: Press Briefing on Household Borrowing with Close-Up on Student Debt. April 3, 2017. Lyman Stone. Declining Fertility in America. American Enterprise Institute (December 2018). A Ghost from the Future could have predicted the catastrophe caused by the student loan program. Lord Abbett Affiliated v. Navient Corporation: "We cheat the other guy and pass the savings on to you!" More than a year ago, Lord Abbett Affiliated Funds sued Navient Corporation for fraud and securities violations, claiming it was deceived by Navient's representations about its student loan portfolio. Navient is a student-loan servicing company that manages about $300 billion in student-loan debt owed by 12 million borrowers. According to Lord Abbett's second amended complaint (80 pages long), Navient "regularly and indiscriminately" granted forbearances to struggling student-loan borrowers, allowing those borrowers to temporarily stop making monthly loan payments Lord Abbett alleged that Navient did this in order to artificially report high income and to hide the fact that Navient was a riskier investment than it was portraying itself (para. 5). "By overusing forbearances," Lord Abbett represented, "Navient artificially kept delinquencies, defaults, and charge-offs lower than they should have been, which in turned allowed [Navient] to report artificially low loan loss provisions as well as correspondingly high net incomes and EPS [earnings per share]" (para. 7). Navient's practice of misusing forbearances, Lord Abbett argued, enabled Navient to list thousands of loans as current (para. 38), even though those loans weren't performing. Lord Abbett maintains that Navient's fraudulent practices, once disclosed, caused its stock price to fall. Undoubtedly, Lord Abbett and other investors lost a ton of money when Navient stock nosedived. As I said, Lord Abbett's amended complaint was filed more than a year ago and its lawsuit may no longer be active. Navient's stock has declined in value from its high and is now worth less than $9 per share. In fact, one investment analyst recently recommended loading up on Navient's stock, which pays a nice dividend. Personally, I don't give a fig whether Lord Abbett and its investors lost money in Navient stock. After all, Lord Abbett apparently didn't care about Navient's nefarious practices so long as it was making money. It's as if Navient was making that old used-car dealer pitch: "We cheat the other guy and pass the savings on to you!" Lord Abbott's complaint, however, is strong evidence that Navient's reckless practice of granting forbearances to distressed student borrowers obscures the number of people who are not paying back their student loans. According to Lord Abbett (para 47), Navient granted four consecutive forbearances to more than half a million student-loan borrowers over a five-year period, allowing borrowers to skip their monthly loan payments while interest accrued and capitalized on their loans. How many of these half million borrowers will ever pay off their individual student loans? I venture to say none of them will. Lord Abbett Affiliated Fund v. Navient Corporation, Case No. 1-16-cv-112-GMS, Second Amended Complaint filed November 17, 2017 (D. Del.). Here's Why You Should Buy Navient (NAVI) Right Now. Nasdaq.com, June 27, 2018). Julie Anne Chinnock sued Navient Corporation,the U.S. Department of Education, and a Navient student-loan trust a few days ago, seeking two forms of relief. Ms. Chinnock wants compensation for an invasion of her privacy and a declaratory judgment that she does not owe Navient, DOE, or the trust any money. As Chinnock said in her complaint, the controversy is quite simple and easy to resolve. "Defendants claim that they own certain student loans under which [Chinnock] is indebted to them, and [Chinnock] denies that defendants own such loans." This case is reminiscent of the old robo-signing scandal during the home-mortgage crisis about ten years ago. Investors bought pools of home mortgages which were on the verge of default; but when the investors tried to foreclose on the homes, they couldn't prove they owned the underlying debt. Apparently, Navient is in the business of packaging student loans into asset-backed securities and marketing them to investors. A lot of these student loans are going into default, but the buyers of those packaged loans are sometimes unable to show they have an ownership interest in the debt. Navient has a proven reputation for its predatory lending and collection practices. A 2014 Consumer Finance Protection Bureau Report found Navient's illegal loan servicing practices to include: (1) attempts to collect debts not owned by it; (2) unfounded negative threats (i.e. damage to borrower's credit), and (3) failing to correctly apply payments, among other predatory practices. Ms. Chinnock also alleges that in 2017, "Navient was the most complained-about student loan company in all 50 states." She says that Navient was named in 530 federal lawsuits over a three-year period and that it was fined $97 million by the U.S. Justice Department for illegally charging students excessive interest rates. Regarding her own complaint against Navient, Chinnock claims she paid off all her student loans in the amount of about $190,000 and was never delinquent on any of them (page 15 of her complaint). Nevertheless, in August 2018, Navient claimed she owed on eight additional loans totally several hundred thousand dollars. Chinnock demanded proof that Navient's principals owned the loans, and Navient refused to provide any documentation. Is this case a big deal? 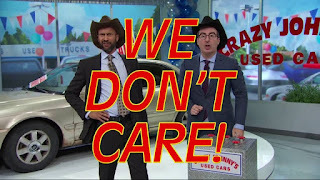 It is a VERY big deal. As Chinnock's lawsuit illustrates, lenders in the real estate industry and the student-loan business have gone to court to collect on debts they can't prove they own. Basically, they relied on a "take-my-word-for-it-loan-ownership ploy." For awhile, the courts played along, allowing so-called lenders to get judgments against people who denied they owed anything. But it is a principle of basic law that a creditor must prove ownership of a debt in order to get a judgment against a debtor. So far at least, Navient hasn't produced a shred of evidence that Julie Anne Chinnock owes it money. If Ms. Chinnock wins her lawsuit, Navient should get ready for plenty more. Julie Anne Chinnock v. Navient Corporation, Navient Solutions, Navient Student Loan Trust 2014-3, & the United States Department of Education, Case: 1:18-cv-02935. Verified Complaint (Ohio Ct. Common Pleas, Dec. 20, 2018). LSU Football Player Kills a Man in Scotlandville: Will He Still Play in the Playstation Fiesta Bowl? An LSU football player killed Kobe Johnson, an 18-year-old man, yesterday evening in Scotlandville. This is what we know. Clyde Edwards-Helaire, an LSU running back, and Jared Small, a linebacker, were trying to sell an "electronic item" when Johnson allegedly tried to rob them. One of the players--police haven't said which one--shot Johnson multiple times and he died in the backseat of a late-model Chevrolet Silverado truck. The LSU athletes called 911 and stayed at the scene until the police arrived. Joe Alleva, LSU's Vice Chancellor and Director of Athletics, called the incident "traumatic." Three lawyers showed up to represent Edwards-Helaire and Small, who claim self-defense. As the Baton Rouge Advocate succinctly put it, there are "several unknowns about the incident." First, the newspaper asked, which footballer player killed Johnson? Second, what types of weapons were recovered and who owns them? And finally--and most importantly--will Edwards-Helaire and Small suit up for the Playstation Fiesta Bowl on New Year's Day? Who is paying the three lawyers who miraculously showed up to represent the football players? Perhaps LSU's Mr. Alleva knows the answer to that question. 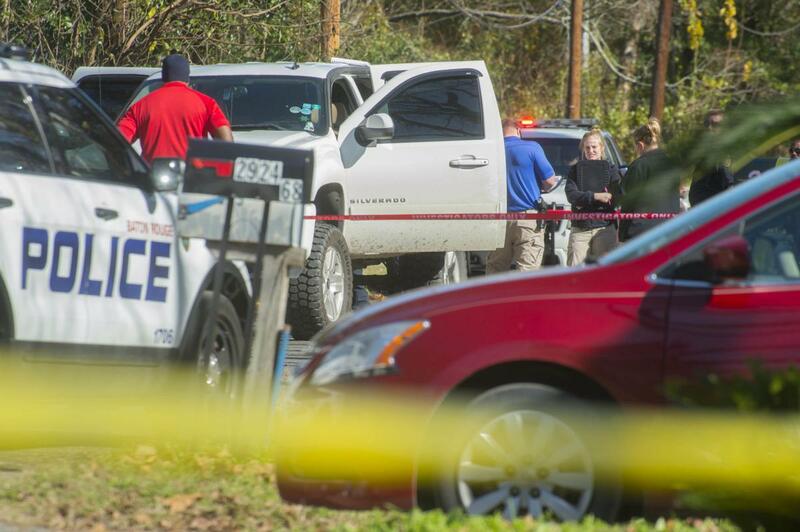 Who owns the stylish pickup truck where Johnson bled to death? And finally, was it necessary for the football player (Small or Edwards-Helaire) to shoot Johnson multiple times? Of course all these questions are trivial when compared to what's at stake: The 2019 Playstation Fiesta Bowl, which is only a week away. After all, how can we compare the life of an obscure kid from North Baton Rouge to the upcoming epic battle between the LSU Tigers and the University of Central Florida? 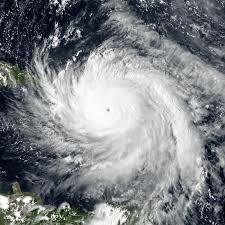 Surely football fans all over Louisiana are down on their knees in prayer. Please God, if an LSU football player killed someone on Saturday night, let it be Mr. Small, who is only a walk-on linebacker, and not Edwards-Helaire, who is a star running back who probably has a great career ahead of him if he goes pro.